We'd love to hear from you. Let us know how we're doing and how we can make your experience here more enjoyable! We are always looking for ways to improve. BRING THE FAMILY FOR A DAY OF FUN FOR ALL AGES!! Since the stadium of the UC Berkeley Football Team, the Cal Bears is being rebuilt their home games this year are played at ATT Park in San Francisco, the proud home of the World Champion SF Giants. A football field being smaller than a baseball diamond, bleachers needed to be constructed on the field in order for the fans to have a clear view of the action. 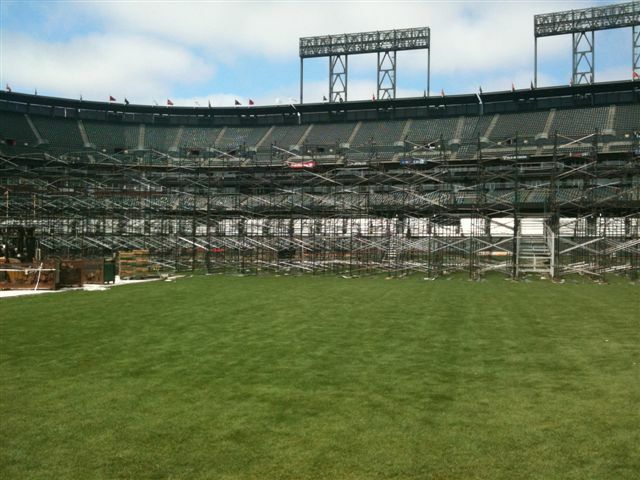 The Giants contracted with CH Robinson to have bleachers brought in from the East Coast, have the bleachers removed after the first game-since the Giants were still playing baseball in September, to a local storage site, have the bleachers 3 weeks later picked up again from the storage site and taken to the stadium in order to rebuilt them in time for the 2nd game and then remove them again after the Football Season is over. 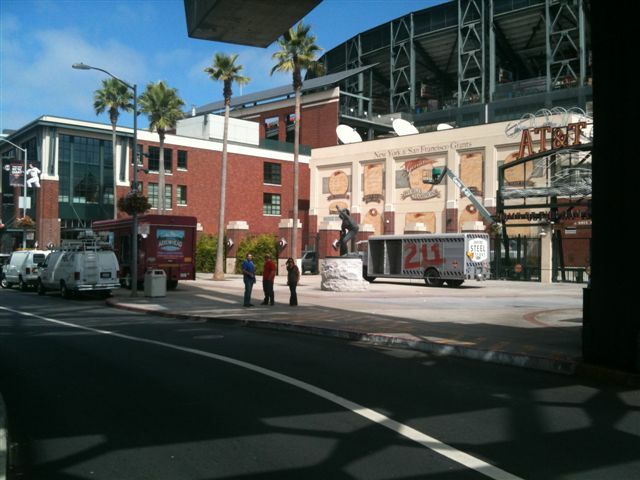 CH Robinson approached us to see if we could take care of the "Local Part"; this would involve 10 48' Flatbed trailers to arrive at the Park at 2 AM of the day after the game to load the removed bleachers, take them to a San Francisco Storage site, and do the whole thing in reverse a day before the second game in October. Could we do this? Of course we could, and indeed we pulled it off successfully! We secured 10 flatbed trailers for a month and with great help from agent 5824 Jay (JD Trucking), 5844 Robby Lorusso and 5853 Esteban Tigre we got them in place in San Francisco prior to game day, showed up at the right time one after the other for the removal as crews were breaking down the bleachers in a hurry and did the whole thing again in reverse in October. All on time and without a glitch; thanks guys!! During a walk through at the Park with CH Robinson, as crews were building the bleachers I took the pictures that show the bleachers, the tight turn our drivers would have to make from the Lefty O'Doul Bridge into McCovey Cove and the site at McCovey Cove were we had to do the loading/unloading-one trailer at a time. San Dimas Canyon Park Area #5 our usual spot. Enter your blog content here, then see it posted to the world here. 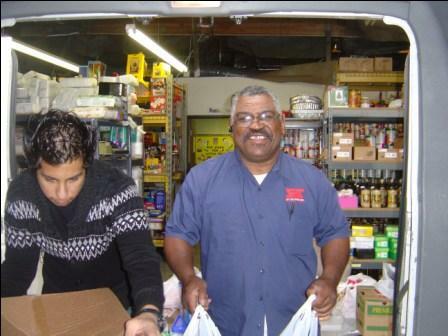 We would like to thank you for your generous contributions to the food drive we held during the holiday season. Those families which are supported by the Foothill Family Shelter really appreciated your help. Jet Delivery hopes to continue supporting the community and welcomes any suggestions you might have. A special thank you to Felipe Cuellar for helping us deliver the items. 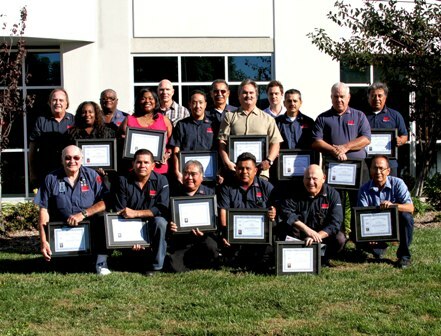 In recognition of their dedication to the company, Jet Delivery has presented its employees with plaques acknowledging their commitment to the company as members of its customer support team. These awards were presented to employees who have been with the company more than ten years, together their combined years equal 375 years of service. Pictured are: back two rows left to right: Dana Thompson, Teneka Berry, Arthur Armstrong, Eunice Rollins, Bob Frederiksen, Ruben Kohatsu, Alfred Reza, Tony Esquibel, Jason Barbata, Carlos Herrera, Robert Grancich, Apolinar Hernandez. Kneeling from left to right: John Townsend, Fernando Arriola, Emory Akamine, Jose Lopez, Aaron Sagranichne, and Robert Munguia. Not pictured: Robert Morales, Johnny Galindo, Ed Rodriguez, Martin Eidsmoe and Brent Barbata. If you think you are too small to have an impact….try going to sleep with a mosquito! It’s not the goal itself that is important…..it’s the fight to get there. About every six months or so someone will come up and say “Hey Jay, how do we calculate mileage? Because our system says something different then Map Quest” (or Microsoft MapPoint, Google Maps, PC Miler, etc…) The answer I give always seems so complex and people usually shake their head walk away and wish they had never asked. I thought today I'd try to simplify that answer and put it in writing. Hopefully this makes some sense to those curious about how it works. You can download the document from our public FAQ page. Have patience………all things are difficult before they are easy. Maturity does not come with age. It begins with an acceptance of responsibility for your actions. We need your help deciding what artist created the best graphic for Jet Delivery. Take a look at the following designs that were submitted, then select the image you like best. The winning image "may" be used in future marketing campaigns. Voting end's this Tuesday September 21st 2010 at 10 AM. - You can change your vote as many time as you'd like prior to then. 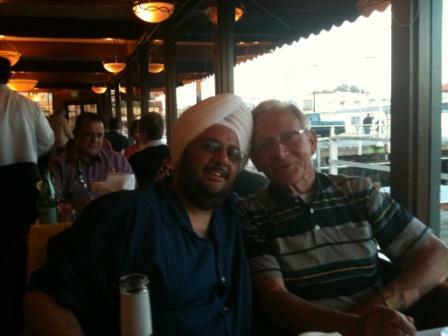 We were just notified by a family member regarding long time employee Jess Regan who passed away on September 1, 2010. Some of you may remember Jess as he started here as a driver on April 15th 1969 and retired from Jet Delivery on June 9th 2004…..35 years later! Jess would stop by every 4 or 5 months to say hello to everyone, and was always in attendance at the company picnics. You probably saw Jess you just didn’t know who he was. Jess will be missed by everyone that knew him. Life doesn’t do anything to you, it only provides opportunities for you to reveal your spirit! Always remember, that whatever got you to your current level of success, will not be good enough to keep you there. 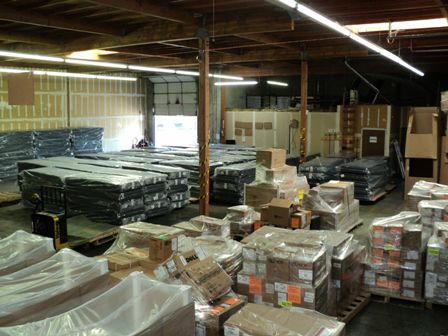 On average, over one thousand parcels arrive daily in Jet Delivery’s Hayward Distribution Center and are routed out to various businesses in and around the Bay Area. Yesterday was no exception, when we were called upon to handle an additional 250 unscheduled mattresses. Jet Delivery gives special thanks to Tim Joos one of our very dedicated team members. Tim went the extra mile, working to see that our client was taken care of. It’s employees like Tim Joos that make Jet Delivery great! Alfred Davtyan (left) winner of Jet Delivery’s 2010 “Best way to retain clients” contest, receiving his Garmin nuvi 265 WT prize from Mike Barbata (right). During Jet Delivery's 2010 driver appreciation week Jet Delivery drivers, agents, and employees submitted their own ideas about what they thought Jet Delivery needed to work most at in effort to strengthen customer relationships. The ideas submitted were then published online and voted on by other co-workers. Alfred Davtyan came up on top this year with some great suggestions. Alfred's responses can be viewed here. What a week it’s been around here! The last few months we’ve been feverishly working on several different integration projects and we're slowly but, surely winding them down. One of the more exciting projects we finished this week was with a company called ProcessWeaver. They develop software for SAP systems (which is very popular in large companies). They came to us because they wanted to integrate their software with our shipping, tracking, and tracing. This project will benefit many of our existing customers using SAP who want their system integrated with ours. This will also hopefully put Jet Delivery’s name in front of many new business who might have never thought of using Jet Delivery. This week we also added the capability to transmit EDI 210 files via AS2 Protocol. Which is very neat! A special thanks to Patrice at Babelabout for all the help! Finally our customers who use Smartship Manager at jetdelivery.com found a little surprise last week. Two new features that have been requested for years finally appeared. Customers can now “Cancel” a un-dispatched shipment from within Smartship as well as reprint shipping labels. Jet Delivery sends out Congratulations to Teneka Berry on the arrival of her Bouncing Baby Boy "Ciroc". Teneka Berry has been an Employee with Jet Delivery for more than 13 years, she is currently on Maternity Leave as of 06/21/2010 we wish her and Ciroc good luck. When Gogi heard that my Dad was visiting from Holland, he insisted he take us out to dinner. 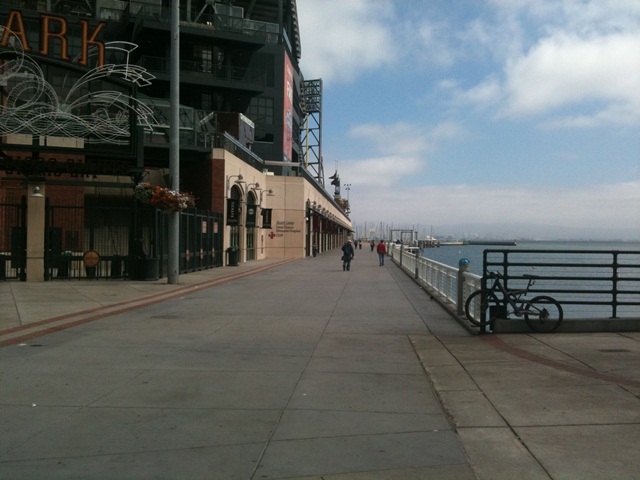 We had a wonderful time at a great restaurant on the San Francisco waterfront earlier this week. When I was in La Verne last month a lot of people asked me what Gogi looks like, so I remembered and took a picture of him (and my Dad); next time you speak to him tell him you saw him on the blog. Yesterday I talked to Rob Lescaille, who’s a Senior Specialist for Interactive Marketing at Mitsubishi Motors. He offered a lot of good ideas on how we might go about improving customer retention. Here’s a list of Rob’s ideas, as well as some of my own, that I think would be beneficial to use here at Jet. So, first of all, we’ve already managed to gather a lot of useful information about our customers – namely, those customers who have “stopped” using us (inactive customers). As of today we have 178 inactive customers. Of those 178 customers, we’ve classified 65% into categories that explain why they’ve stopped using Jet. Rob suggested that we start an email campaign using a third party like www.constantcontact.com to try to bring those companies back onboard. This is cheap. We get 60 days for free, and then if we like it, it’s only $15.00/month after that. We’re not suggesting that we blast a bunch a useless, generic email message to all the inactive customers; we’re suggesting that we take the information we’ve already gathered, and use it to address each customer’s problem. Of course, now we need to make videos, and figure out exactly which companies we’ve helped. I’m betting it’s going to be our “best” customers. So let’s go out and interview (or, if they let us, record) our “best” customers and see what they have to say about us. How many ideas for emails, web articles, marketing strategies, etc... do you think we’ll have then? I think www.crazyegg.com would be a great tool for us. It monitors users’ click patterns. If we know what people click on, we know what they’re interested in. If we know what they’re interested in, we know what to market to them. Rob had a cool idea on being able to ship without actually setting up an account (“Quick Ship”). Maybe having to setup an account turns some people away. We really don’t know because we’ve never tested it. Do people like our website? How easy it is for them to use? Do they get lost? Do we have what they’re looking for? www.4qsurvey.com will allow users to review our site. Yeah, we can easily create and program a survey ourselves, but this would be easier. Also, since this is my first time really looking around the Jet Delivery blog, I think we should allow anyone to post anything. Maybe I just missed it, but I think we should make it easy to obtain a username (just being able to sign up online). If it's abused, that user will be blocked. If you give users control, they will use it. This blog will expand far, far faster. I like the picture of the building on top, but the white writing is hard to read and the logo on the left looks tacky (in my opinion). Besides that, it's useless insofar as it doesn't link to anywhere (like the homepage). Speaking of that, Rob suggested we link back to www.jetdelivery.com. Anyway, I don't want to overwhelm you, so I’ll stop here. Feel free to add, criticize, ask questions, whatever. There’s really no limit to what we can do. Easy to say we love….difficult to demonstrate it every day! I see Robert found an old ad for Jet. I think I found a more recent plug for us at the Australian Open Tennis Tournament last year: This is Elena Dementieva proudly wearing her JET logo! Remember 1981? Found a neat video the other day over at tv-signoffs.com. A Jet Delivery spot on NBC news at exactly 3 minutes 57 seconds in. Glad we are better at making deliveries then commercials. Never lose sight of the fact that the most important yardstick of your success will be how you treat other people. You’re invited to Jet Delivery’s 2010 company picnic! 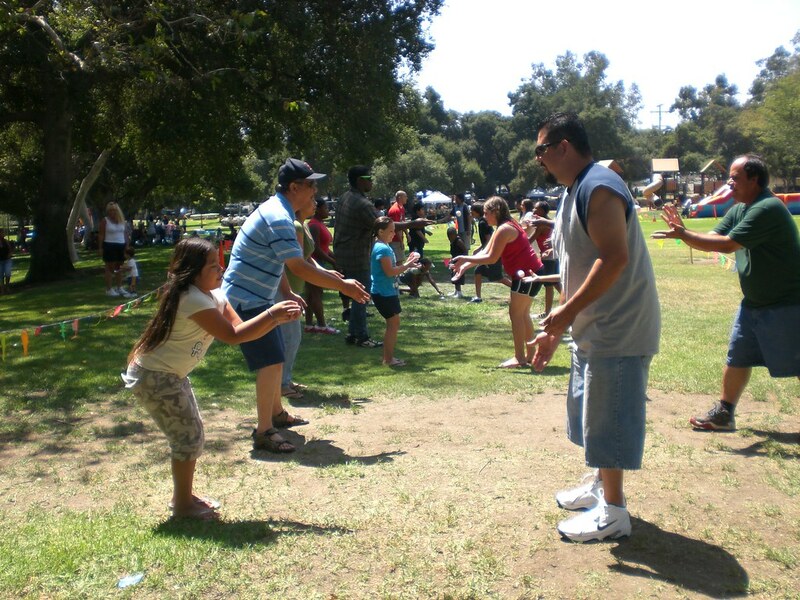 It’s that time again; the 2010 company picnic will take place August 28, 2010 at San Dimas Canyon Park – Area #5. The Picnic starts at 11AM and will go until 3PM. There will be food, fun and entertainment for the whole family. You can let the kids get a little dirty, have their have face painted or burn some extra energy off in the 20x20 giant bouncer. We'll also have games and entertainment for everyone. Come hungry, because this year we will be barbecuing Chicken, Hamburgers and Hot Dogs. Please RSVP by either leaving a comment below (preferable) or by sending an email to the following address: rsvp2010picnic@jetdelivery.com. We look forward to seeing you there! Click here to download the full agenda! Today marked the 15thweek of our retention efforts! PROGRESS! PROGRESS! PROGRESS! - If you haven’t been keeping up with the latest “buzz words”, think of retention as a simple calculation that helps tell us how good we’re doing with our customers. If a customer continues to ship with us over and over again our number goes up and when a customer stops shipping with us the number goes down. We started tracking this number back in January 2009 when it was then 77.86%. In February of this year, a group of us got together and decided to see if we could find ways to improve our retention and become a better company while doing so. We set a goal of 90% by January 2011 (audacious, we think!!). In the short 15 weeks we’ve been working on this we’ve learned a lot! Number one we need to do a better job listening to what our customers are actually telling us. Seems were pretty good at making assumptions about what “we think” our customer want, and not so good at actually listening to them. Turns out we’re also not so good at listening to our own people. Or better yet post your ideas here in the comments section below! We are working very hard at making Jet Delivery a better company, and we hope you’ll join our cause! I want to share an example why I feel we are number #1 in the courier industry. Put simply “it’s our people”, but let me elaborate on that. I hear these story’s all the time but they rarely get shared. Today a customer of ours, who provides pharmaceutical services called in and needed a pick-up in Imperial going to El Centro (approximately 6 miles). Imperial being in San Diego County and approximately 140 miles away from Jet’s nearest driver, the call ended up with our Air & Ground group. Air & Ground tried calling all the agents we had in our system who service the San Diego area with no success. We were in an awful situation. Not a single one of our agents were responding to us, when we made a commitment to help our customer deliver extremely important medicine to their patient. Being out of ideas, but not panicking Darlene Fajardo elevated the situation call up to Tony Esquibel the Operations Manager. Tony followed our core values by finding a solution to the problem, even though he knew Jet Delivery would lose a lot of money on this particular call. Tony found Charlie Chusivaratn. Charlie, a driver with Jet Delivery since March 2009 working out of San Dimas said he’d be willing to make the trip to San Diego County to help solve this problem. Charlie made the scheduled pickup time and even delivered the medicine faster than expected. Even though we were faced with what seemed like a insurmountable challenge, our people put their minds together, made sacrifices, and ultimately delivered exactly what the customer wanted “a simple seamless pickup and delivery”. Want to save money on GAS like I want too! Well, here are some tips I found at http://www.fueleconomy.gov/ today. The tips claim to reduce the amount of gas you use. I'm starting my test today! First by emptying all the "Junk in my trunk" so to speak. Another tidbit I got that I never realized was that using overdrive could save money on gas?!$%. Anyway, hope others find some of these tips just as useful as I did. Also, while I was researching, I found alot of information about scams! Here’s a short video on YouTube put out by Motorweek - "Goss Garage" that shows a few bogus products to watch out for. If you have any fuel tips that have worked for you, post them in the comments section below! Share what you know with the rest of us. That’s what this blog is all about. Us all sharing ideas with one another that will hopefully spark an action, that might make our lives just a little bit better. This is a great complement that came in for Camille, but we know several people touched this customer. The CSR that took the order, the dispatcher that dispatched it, and the driver that arrived on time and made a great impression with the customer getting it delivered.....this is great team work by everyone in the organization....this is what makes us number 1! Well done everyone. I just wanted to pass on a well deserved compliment and thank you. We had an urgent need for a counter to counter same day shipment and I called to see if your company could help with our needs. Not only was your company able to help, but Camille set it up immediately. Her customer service was impeccable! I just wanted to share my experience with you, because there are very few companies that offer the kind of customer service that your company provides. You should be so proud to have an employee like Camille working for your organization. She represents Jet Delivery exceptionally well, as do all of your employee's. It is really a pleasure doing business with you and your staff. Please extend my "Thank You" to Camille. I so appreciate her. 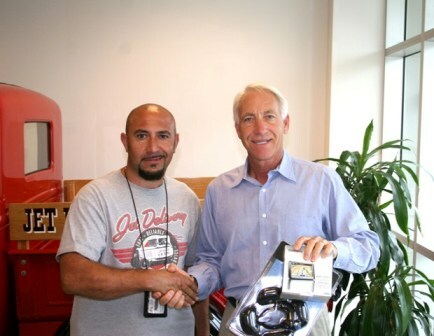 During Jet Delivery's 2010 driver appreciation week our newly formed retention team was held a contest. This contest was all about collecting ideas from our drivers who know our customers best. The contest was simple. Answer 3 questions about how Jet Delivery might do a better job at retaining customers. Many drivers submitted their ideas, and we need your help picking a winner. Click here to vote. Subscribing to this blog will allow you to receive entry updates to the blog via email. What's on Jet's YouTube Tube? © 1997-2011 Jet Delivery Inc. All rights reserved. Terms & Conditions | Privacy Statement | Trademarks of Jet Delivery, Inc.